Egyptian President Abdel-Fattah El-Sisi says that ensuring security and stability in Africa is considered an investment for the continent. 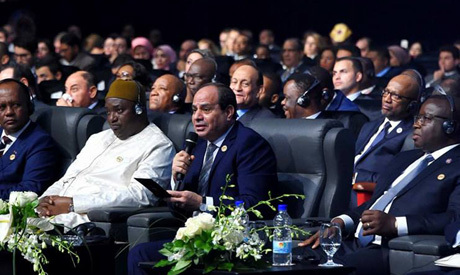 El-Sisi made the comments during the first session of the Africa 2018 economic forum in the Red Sea resort town of Sharm El-Sheikh. In his comments following a one-hour televised discussion panel, El-Sisi stressed that time and investments are two crucial factors that will have a great impact on the development of Africa. "There are scientific and economic factors that determine the framework for development; however, the circumstances of our continent might not be able to meet these terms," says El-Sisi. The Egyptian president highlighted that maintaining security and stability in Africa is crucial. "If we cannot maintain security and stability, this will negatively affect us all," El-Sisi said. The Egyptian president also called on bankers to standardise financing to help the development of African nations. "You have your own financing standards and we have our own circumstances, you could build a bridge between us," said El-Sisi. 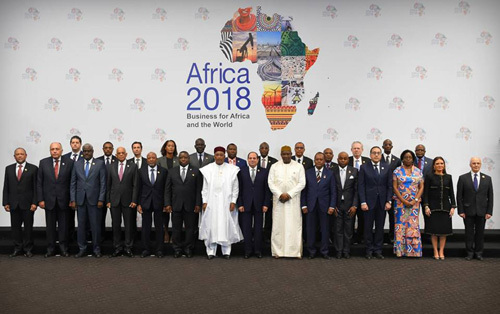 Egypt's Minister of Foreign Affairs Sameh Shoukry, Minister of Investment and International Cooperation Sahar Nasr, and a number of African leaders participated in the first panel of the forum. Shoukry stressed that during Egypt's upcoming presidency of the African Union, the priority will be for cooperation between countries to boost development in the continent. Minister Nasr stressed that more investment in infrastructure projects will be the focus of African countries in the coming phase. President of the African Development Bank Akinwumi Adesina and president of the Asian Infrastructure Investment Bank (AIIB) Jin Liqun were among the participants in the panel. Both officials hailed Egypt's efforts in its economic reform path.